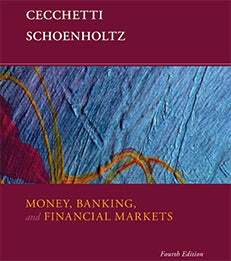 In the fourth edition of Money, Banking, and Financial Markets, Professor Kim Schoenholtz and co-author Stephen Cecchetti use five core principles as the basis for understanding concepts to enable students to learn the rationale for financial rules and institutional structure. Like previous editions, this new publication emphasizes real-world applications and a global perspective. The fourth edition also includes integration with FRED, the online database created and maintained by the Federal Reserve Bank of St. Louis, learning objectives and updated coverage of global events. Please click here to read more about Money, Banking, and Financial Markets. Kim Schoenholtz is a Professor of Management Practice and the Director of the Center for Global Economy and Business.